The ordinary summer day of a college athlete would probably consist of sleeping late, getting in a workout, and heading to the beach with some friends. At the Coast Guard Academy however, summer is a busy time for cadets and this summer for senior Bryce Schroeder, a member of the men's basketball team, was anything but ordinary. Schroeder and three of his classmates spent eight weeks in the Middle East after having attended pre-deployment training for three weeks in North Carolina where they would learn weapons proficiencies, chemical and biological threat response, combat medical treatment tactics, and other combat related skills. Schroeder was given orders to work for USCG Patrol Forces Southwest Asia (PATFORSWA), in support of the US Fifth Fleet's mission, headquartered at Naval Support Activities, Bahrain. He became qualified in an array of different skills. One qualification was as an anti-terrorism force protection watch stander and they would patrol near Iran, Kuwait, and the surrounding region, where he was armed during the patrols. He would learn to identify what countries ships were from and if they were armed or not, and what they were doing. They also worked in Doha, Qatar, which is the site for the 2022 World Cup, where they would provide security for US ships. In addition, they made a trip to Camp Patriot, Kuwait where they gave a presentation to the Kuwaiti Coast Guard encouraging them to send cadets to the U.S. Coast Guard Academy as part of an exchange contract. This was the second year of the program which sends cadets to the Middle East and about 25 cadets applied to go, with the four being selected following an interview process which also took military and academic standing into account. The experience was not that of a summer learning camp, as he faced real life crisis during his stay. It is very tense in the Middle East as we carry out Operation Inherent Resolve, (the battle against ISIS), while still completing the objectives from Operation Enduring Freedom. "It was amazing, I like the Department of Defense and the law enforcement missions and we did some real missions during my time there," said Schroeder. "We would be doing patrols and send out a boarding team of armed Coasties to visit ships in small boats and gather intelligence on ISIS. Iran is an incredibly dynamic threat and they would scramble us. We would have to throw on our body armor and our helmets and get on our gun mounts and the watch captain would tell us if we needed to engage the threat or stand-down." He would like to get involved in Maritime Security Response Team (MSRT), an elite Special Operations Counter-Terrorism unit within the Coast Guard, in his career and Schroeder got an opportunity to spend three days with MSRT members in Bahrain and learn more about the team. MSRT does joint operations with the Navy SEALs, and frequently work for US Special Operations Command (USSOCOM). They have both an East Coast and West Coast team which he hopes will be an option upon graduation. Schroeder is a member of the Regimental Staff this semester at the Academy. He is the Regimental Support Officer for the Corps of Cadets. The Regimental Staff consists of nine cadets who lead the Corps of Cadets and help develop solutions to many of the rigorous challenges that cadets face. He wanted to join the military after high school and his parents wanted him to go to college and told him about the service Academies. Schroeder was accepted to Navy, Air Force and Coast Guard and the fact that he could also play basketball was a selling point. "Coach Jaz told me that I could make an impact on this program where the others told me that I could walk on and that I might be able to play, probably just ride the bench and that wasn't something that I was super interested in," said Schroeder. "I wanted a coach that wanted me to come play and that's why I chose the Coast Guard Academy." The men's basketball program has continued to improve each season that Schroeder has been on campus, the team was 11-12 last season, winning 11 games for the first time in seven years. 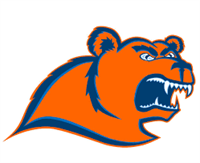 This year, the Bears look to post a winning record for the first time since the 2007-'08 team won a school record 24 games and advanced to the Elite 8 of the NCAA Division III tournament. "The team is like a night and day difference from when I got here," said Schroeder." We were low in numbers, but now academically, militarily and physically we are in a much better spot. The guys have been working hard in the offseason and I can't wait to get this senior year started."